bringing together vibrant commercial businesses and artistic destinations. Welcome to Statesboro, Georgia. One of America's Best Communities. Information for current, new, and prospective businesses along the Blue Mile. Information about our housing revitalization projects. We are working to improve the appearance of the Blue Mile. Whether you are visiting Statesboro or looking to open a new business or find a home, you can find it all on the Blue Mile. From delicious restaurants to great shopping, there’s something for everyone. Winning the America’s Best Communities competition has helped continue to launch our South Main revitalization efforts. We would love to have YOU involved with us! 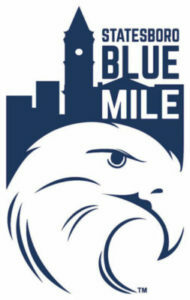 CLICK HERE to find out how you can get involved with the Blue Mile! located along the Blue Mile. travel the Blue Mile daily. who live along or within walking distance of the Blue Mile.